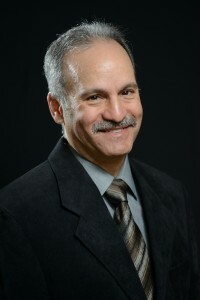 Dr. James R. Sunners, D.D.S. Dr. Sunners is a graduate of the New York University School of Dentistry. He established his 25+ year practice based on the philosophy of providing patients with comfort, quality and experience in all phases of Family Dentistry. His advanced hospital training at Brookdale Hospital, Brooklyn, NY, following Dental School, has allowed Dr. Sunners to provide his patients (young children and older family members) with cutting edge skills, putting him at the forefront of local dentistry. Conversant in English, French and some American Sign Language, he is able to communicate with his patients on a personal as well as professional level. His experience in working with the elderly and those with special needs, allows him to relate to special patients that face adversities, with compassion. He is kind, soft spoken and empathetic to all the needs of his patients. Dr. Sunners talks with his patients, not at his patients. Through videos and brochures and consults, he shares information about dentistry, especially preventive dentistry. He shares his findings with his patients, often visually, using an intraoral camera, so they can see what he sees on a computer monitor. Patients are NOT kept in the dark about their treatment choices. They are provided with honest diagnostic evaluations and treatments explained in plain understandable language. 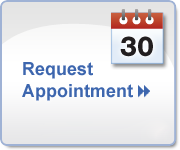 He employs top multilingual hygienists and staff who share his ideals in dentistry, which makes his office one of the most desirable dental offices in the Greater Metrowest area, of Boston. Ongoing continuing education and training is provided for Dr. Sunners and his staff to allow exploration of new technology and techniques, resulting in more healthy and beautiful smiles. He and his staff regularly take CPR and emergency medical training. Dr. Sunners is a member of the American Dental Association, and the Massachussetts Dental Society . He is Invisalign Certified, CEREC Certified and Academy of Laser Dentistry Certified. His office has been MedSafe Certified.